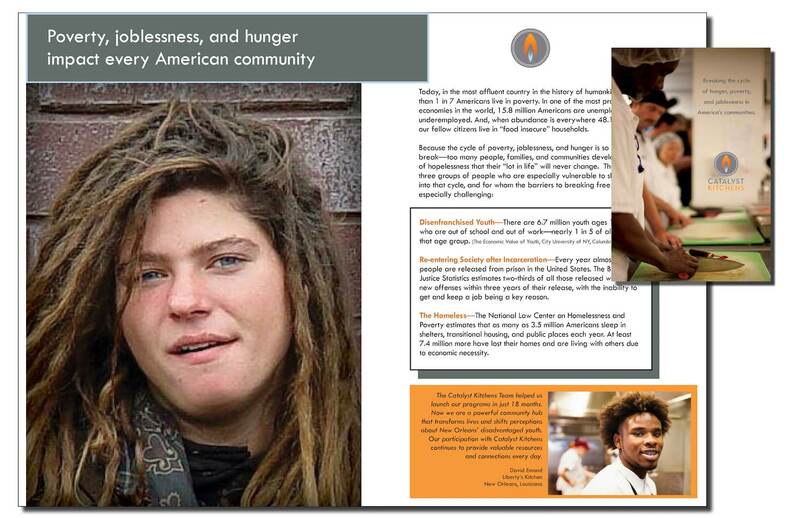 A new way to fight homelessness, poverty, and hunger. 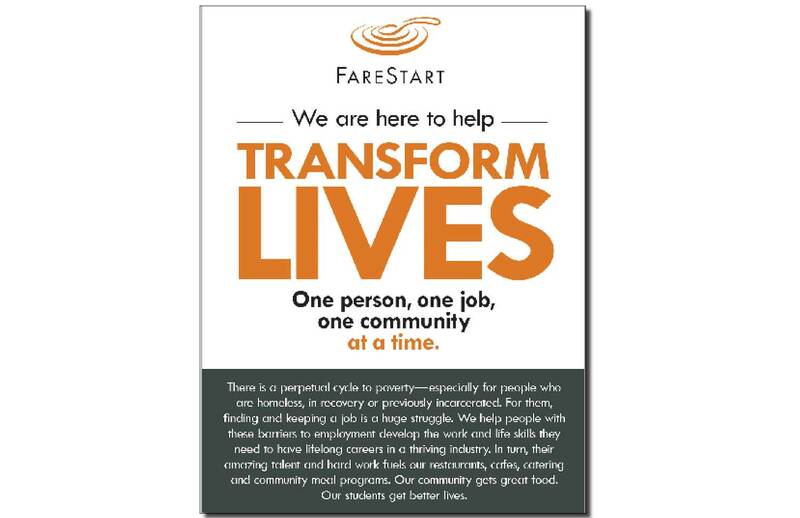 FareStart helps transform people’s lives by offering critical support services that break the cycle of homelessness, poverty, and hunger. 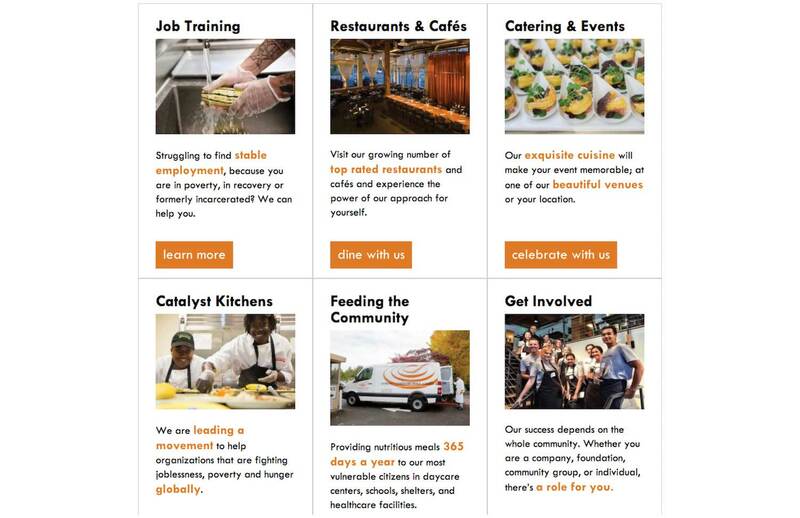 They are an effective social service provider that happens to run world class restaurants, corporate food service, and catering operations. 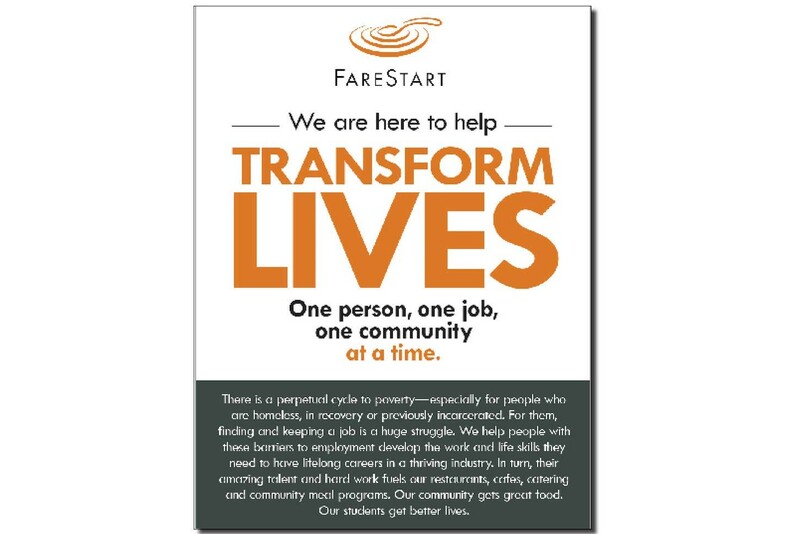 All fueled by the incredible “…ex-convicts, recovering addicts, homeless, and ‘poor’ people” FareStart trains for a career in the foodservice industry! Their unique hybrid model combines donations, grants, and social enterprises, with a community of passionate restaurants and “foodies” who help with training, employment—and eating delicious food. 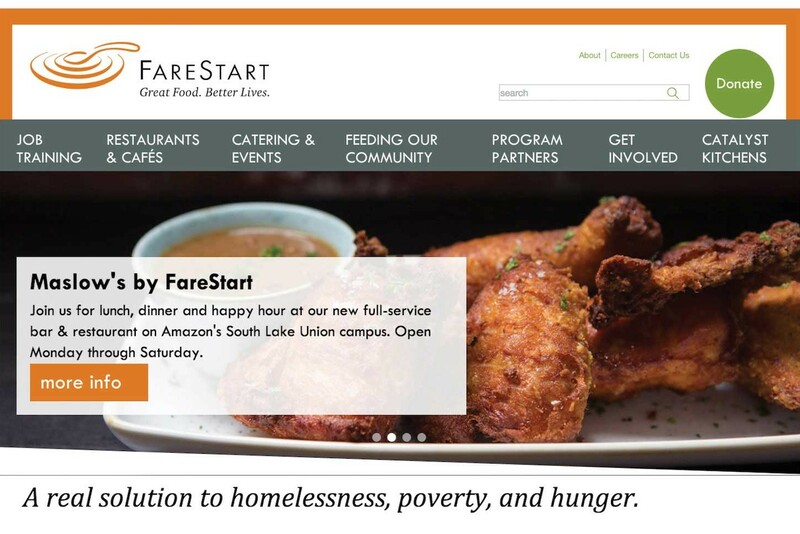 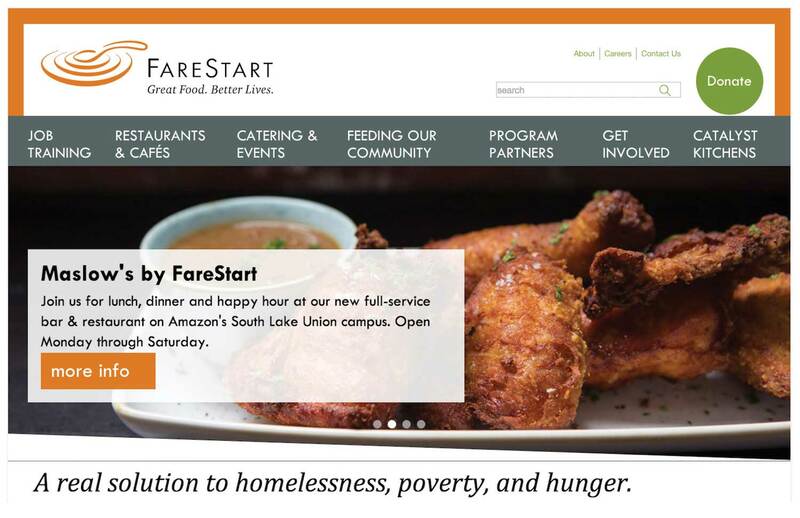 We developed a manifesto, website architecture (and a whole lot of content) to capture the imagination of communities where FareStart’s model is getting traction. 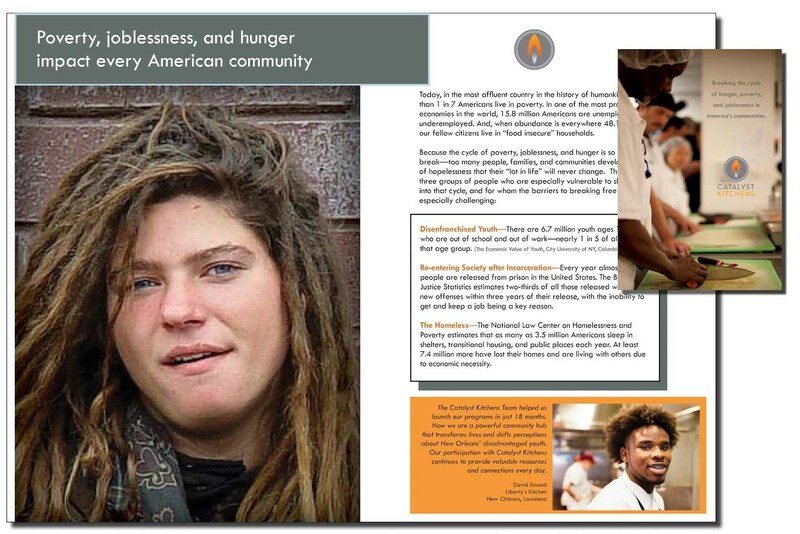 And a communications campaign to build an ever-stronger community of support.